Another weekend has come and gone, and we've slashed a few more things off of our never ending to-do list. To be quite honest, Mike did all of this himself except the painting, which I did. I mostly did traditionally gender appropriate things like grocery shopping and cleaning, and tending to the furry beings that live in our house. I'll be back tomorrow with pictures, because I totally dropped the ball yesterday and didn't take any. 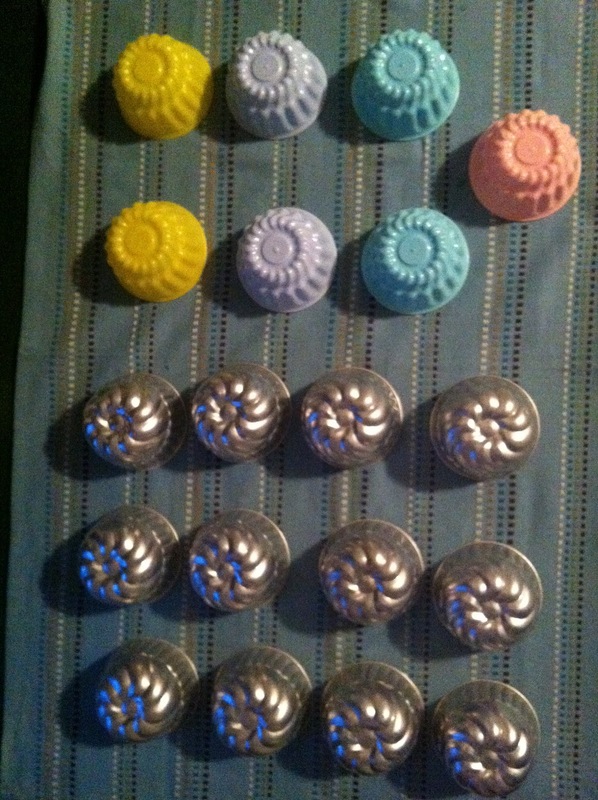 I do have a picture of these neat little things that I've recently acquired, which I'm assuming to be jelly molds. The dozen metal ones came from the same auction as my $5 chairs. They were bought with a bunch of other junky houseware things, for $5. 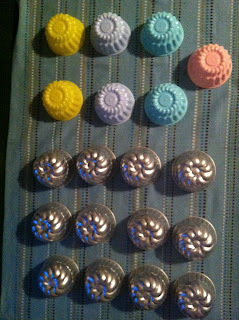 The pastel coloured ones were given to me by Mike's mom. They are colourful and happy and make me think of Easter. How was your weekend? Did you get anything done on your to-do list?